Hardee Hunt and Williams Wrightsville Beach Real Estate Company is excited to present a gorgeous single family home for sale at 548 Waynick Blvd, Unit B. 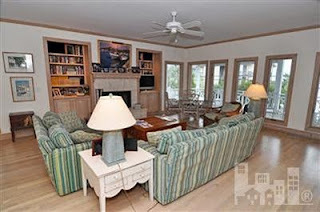 This 4 bedroom / 4.5 bath 3 story second-row beach cottage has a boatslip and dock with a covered gazebo and sandy beach access on Banks Channel in the Intracoastal Waterway. It's located in the peaceful corridor of South Lumina Ave. in Wrightsville Beach. 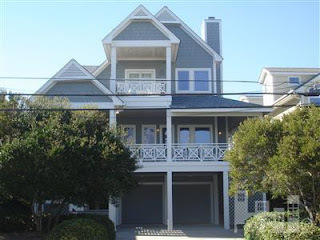 The house faces the ocean and has amazing ocean views from the kitchen, living room, and master suite. As for outdoor living space, the master suite has a private balcony with ocean views and the home has a screened side deck for all season enjoyment. 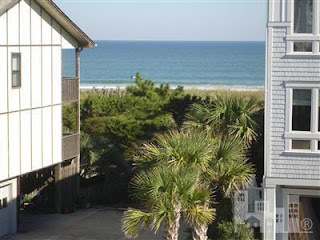 There is an outdoor shower for post-beach and boating excursions and natural North Carolina coastal landscaping. The interior of this home features a contemporary kitchen with granite counters, a coastal cabinet package, subway tiled backsplash, sky-lights, vaulted ceiling, and more. To learn more about this Wrightsville Beach single family property for sale, please contact Hardee Hunt and Williams, your premier Wrightsville Beach Real Estate Company: 800-852-1605.